Most companies and schools place all their computers in one designated computer room. Not only it is convenient for all the people in the office or school since there is only one place for them to go to in order to access a computer, but also it is a nice solution as multiple people can work together on computers at once with this configuration. The only main problem that arises from this is heat. With several people in the room and a ton of computers powered at the same time, heat is going to start getting higher. That’s when air-conditioning steps in. An efficient yet powerful air conditioner can do the job and successfully keep your computer room and everyone in it at a proper temperature to maximize productivity and minimize computer damage. Spot cooling is a more effective way of keeping your computers cool as some computers, especially ones being used, will heat up more than others. A normal air conditioning unit will keep the room at a certain temperature but not each computer. Potable air conditioning units can be used and directed at specific computers or areas for spot cooling. Proper cooling for your computer room can assure your computers’ lives will last long and will help your company achieve its goals. 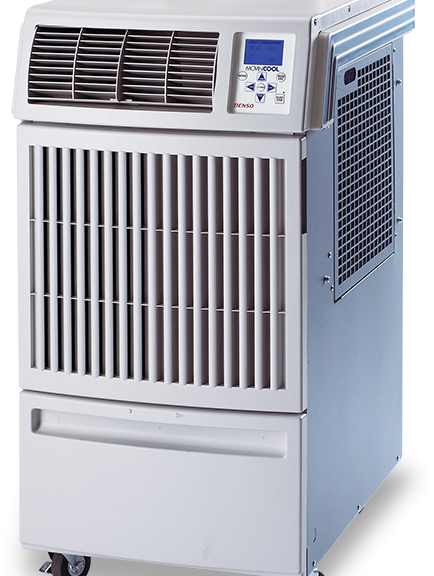 Rental portable air conditioner units are a viable option in case your company or school’s computer room does not always need spot cooling for intensive use of the computer terminals. Movincool is a brand of the DENSO corporation. They are the makers of powerful potable air conditioning units and are pioneers of spot cooling technology.